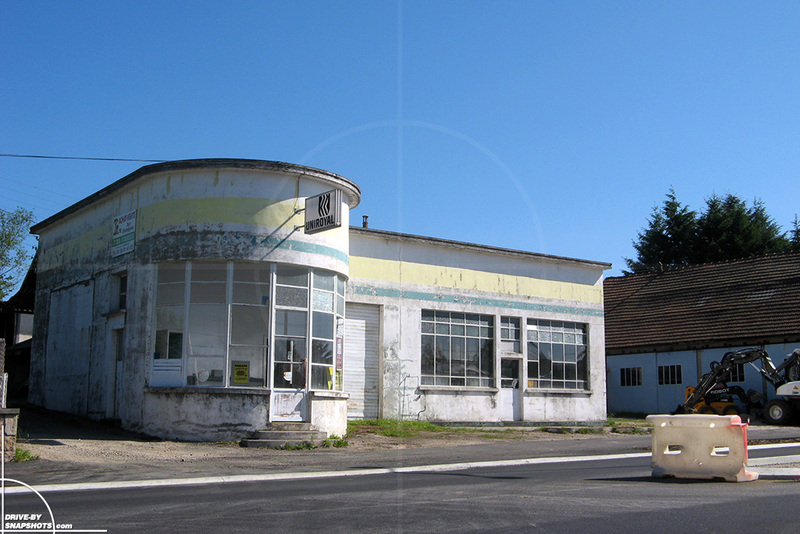 Driving past this abandoned service station in 2007 sparked a memory. 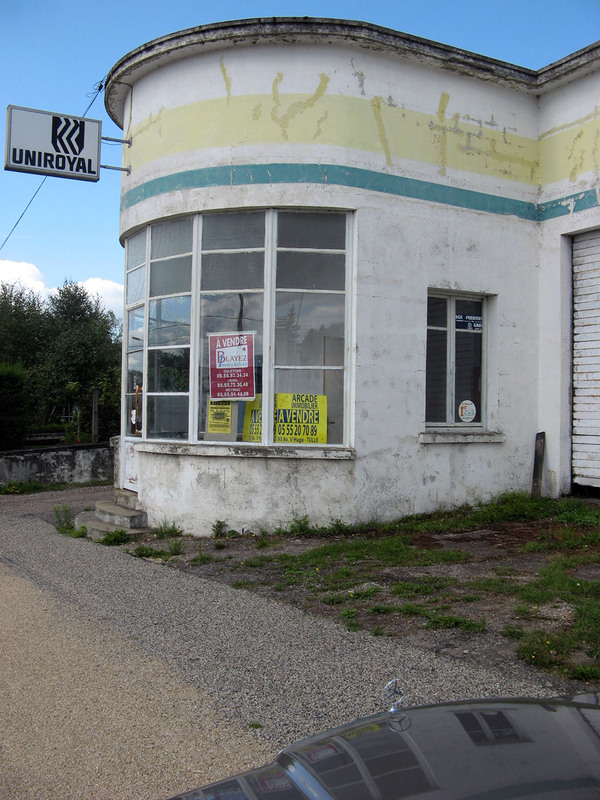 A long time ago, when I was a young boy, we used to take the same route between Clermand-Ferrand and Bordeaux. If I remember correctly, this station was still in service back then and we might even have stopped there to fill up. 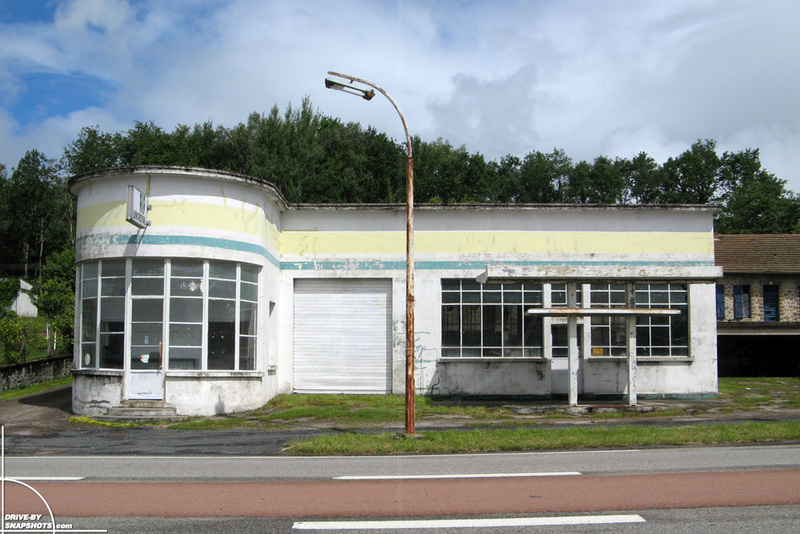 The paint might be faded, the pumps gone and the light poles rusty – but it sure has kept this special character only old petrol stations have. I just love the old-school architecture. Does a functional building have to be boring or ugly? No, sir! Back then, they thought about details and didn’t just build as quick and cheap as possible like today. The design is similar to the Station du Haut-Limousin I featured not too long ago. The most prominent and accentuating feature of the building is the semicircular office area, which features fully glassed walls. Three matching semicircular steps lead to the central entrance door. Beauty is in the details, in my opinion. Did you note that the rectangular workshop area has symmetric windows left and right of the door? And even though it doesn’t look like in the pictures, the roof covering the pumps is symmetrical to the very same center line of the workshop door. The building next door looks like it was also home to a workshop once. 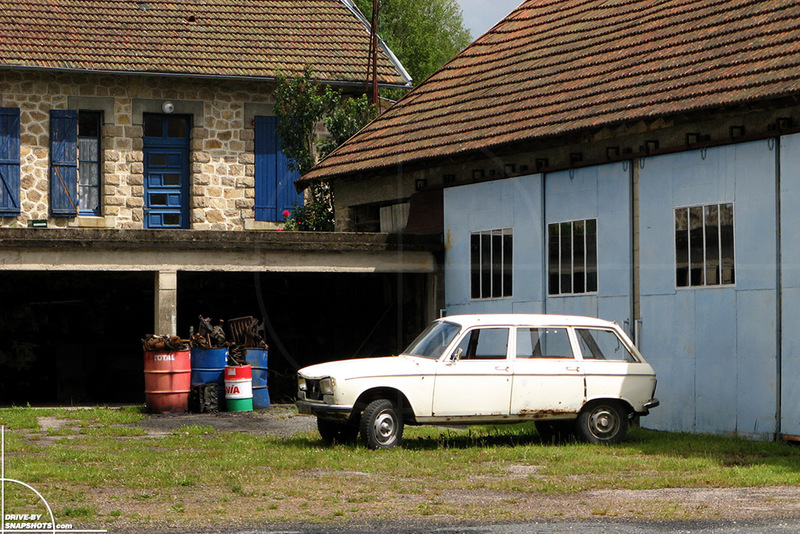 For many years, the white Peugeot 204 Break was parked between the building, in front of the owners’ house. 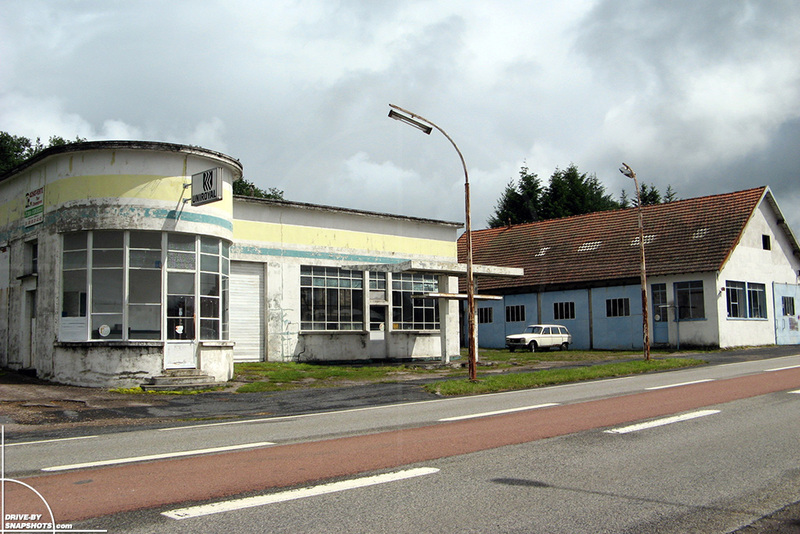 Every time I drove through St. Priest-de-Gimel and past the service station I dreamed about buying this awesome place (in the middle of nowhere) one day. All I could hope was that nobody would buy it until I could afford to purchase it. 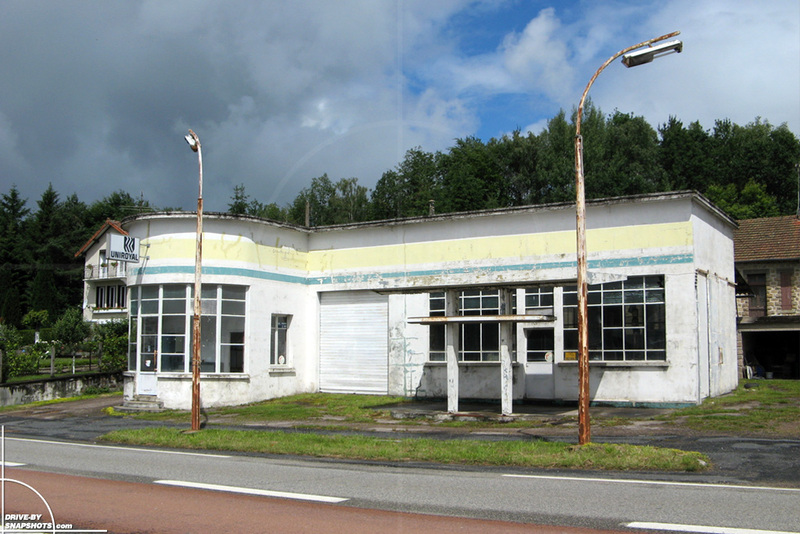 Two years later in June 2009, roadworks necessitated the removal of the light poles and pump roof. Somehow it looks naked without the roof in front of it, doesn’t it? And hey, where did the trusty Peugeot end up? I looked into the windows, but couldn’t spot it inside. The house also looked abandoned. The old man might have passed away. God bless him for holding onto the property long after closing for good. Shedding a little tear, I noticed the for sale signs in the windows of the office. Being a student at the time and having no money to spare made me sad. If you point your browser to google maps and search for St. Priest-de-Gimel you can still find this little gem. 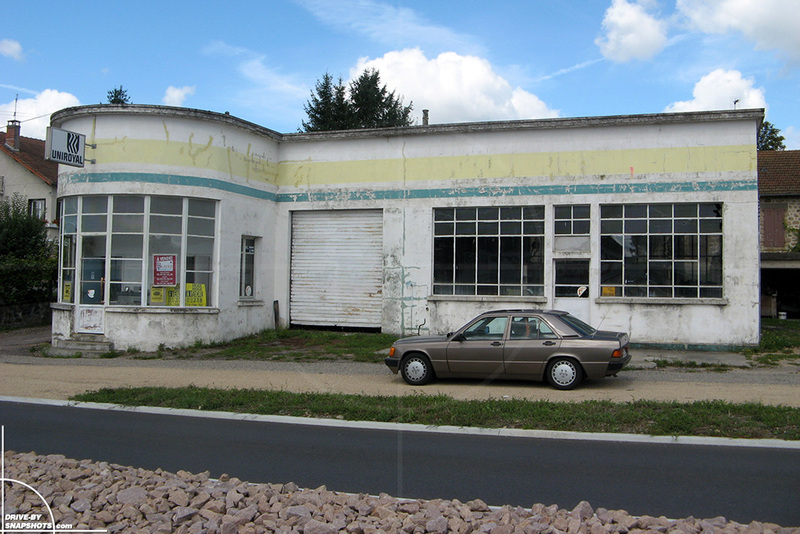 The google picture has a 2011 copyright and the workshop next door has been restored and converted. The good old times are gone forever on that side of the property. 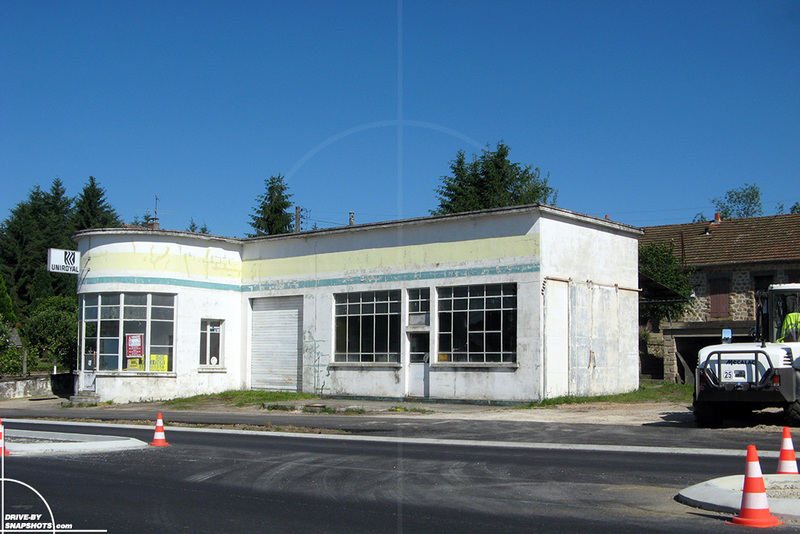 Let’s hope the little petrol station gets spared and sees a brighter future!